We have increased our steam cleaning capacity! STEAM CLEANING! Yes, We have increased our steam cleaning capacity! We have finally secured a local parking spot for our truck and, through some savings, have hired an extra cleaning ambassador so we can steam clean now 4-5 days a week! We’ve been working hard to get this done, you will see Henri out with the steam cleaner most every day now. This means we are more available for standard sidewalk cleaning and also spot cleaning and urgent calls. Call/text 415-471-7536. This is a temporary fix …(read more) and we will be evaluating the results of steam cleaning 4-5 days a week versus 1 – 3 times a week. 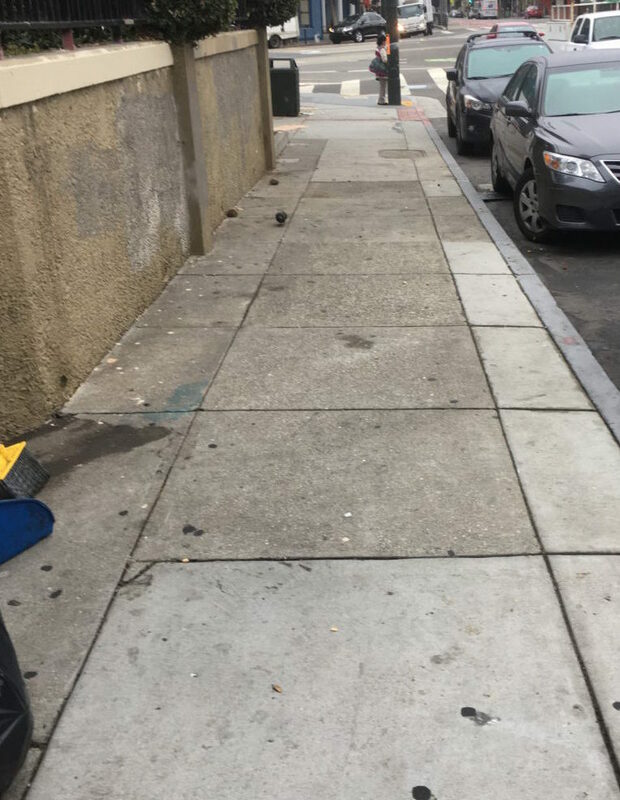 The Castro/Upper Market is a large district, so this does not mean your sidewalk will get cleaned every week, but we have increased our capacity! (click to our cleaning report). How to Request a Pressure Wash of Your Sidewalk: To requests a FREE pressure wash of the sidewalk in front of your building/store, please contact the Operations Manager at (415)471-7188 or send an email to castromanager@blockbyblock.com. If you are calling in a fresh spill, stain, or biohazard clean up, please call our dispatch at (415)471-7536. What Else Does the Castro/Upper Market Community Benefit District Do for YOU? Graffiti Removal: Yes, the Castro Community Benefit District removes graffiti from public and private property in our footprint. Last year the Castro CBD removed over 1000 tags in the neighborhood. This includes sidewalk graffiti, graffiti on private property, graffiti on city signs and street furniture. 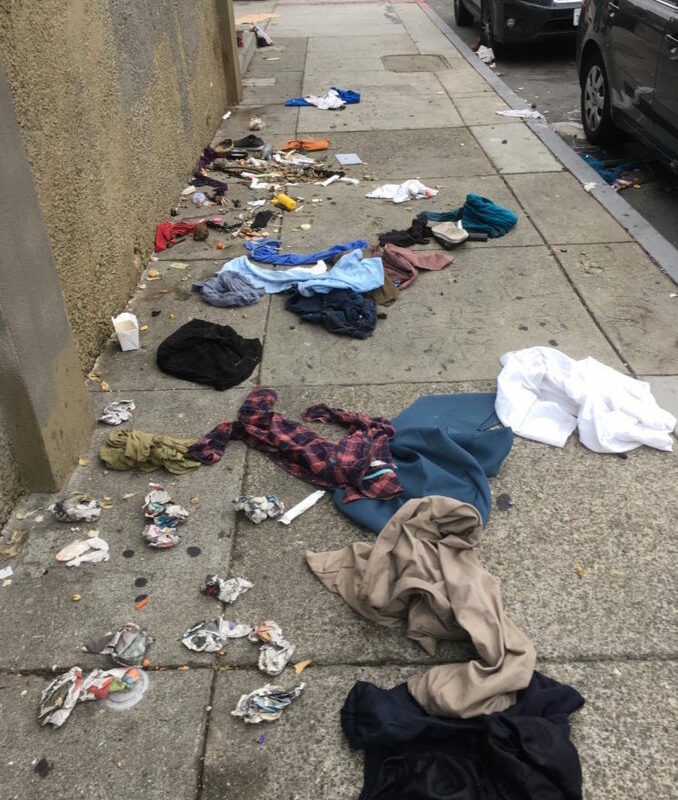 Trash Removal: Yes, the Castro Community Benefit District’s Clean Team picks up 7,760 pounds of trash a month, and 115 dirty needles a month. Biohazards: Uhmm…Human Feces – 95 instances a month.